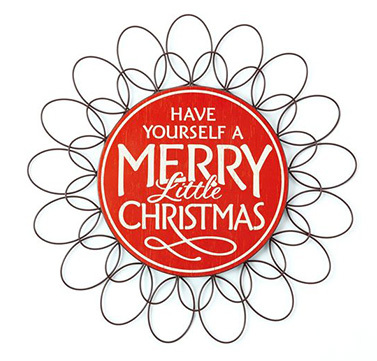 Festive Fountain Cord (sold separately). 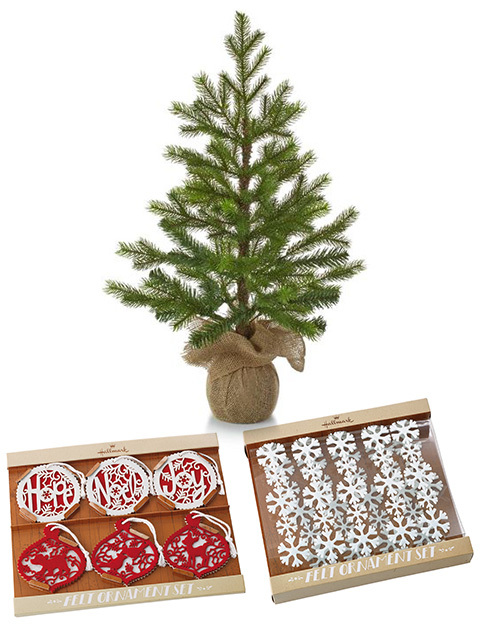 This natural looking mini tree décor is the perfect size to display on a table. Add our felt ornaments and garland (below) for a special touch. Features a wrapped burlap base and moulded needles for a rich, natural look. 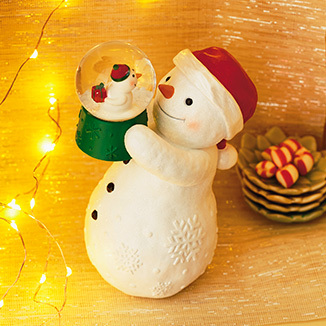 Decorate your tabletop tree with this set of six charming miniature ornaments. Each ornament features a handcrafted look and a festive word or nature scene. Each ornament measures 3" x 3" x 1/4". Not shown: Miniature Snowflakes and Mittens Ornament Sets. wintry touch when woven through your tree's branches. and photos easily with the metal clips. Dimensions: 16.25" W x 16.25" H x 1" D.
Made of metal and laminated paper. Dimensions: 4.5" W x 6.5" H x 4.25" D.
Snow globe measures 45-mm. Made of resin and glass. 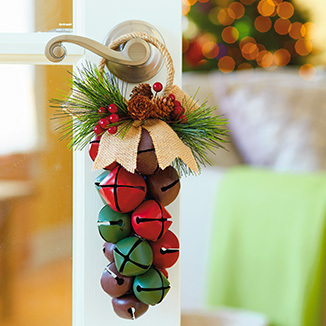 Bells are a must at Christmas, so add some jingle to your home. Wouldn¹t these be fun on every door? Features real jingle bells. Dimensions: 6.5" W x 12.75" H x 3.25" D.